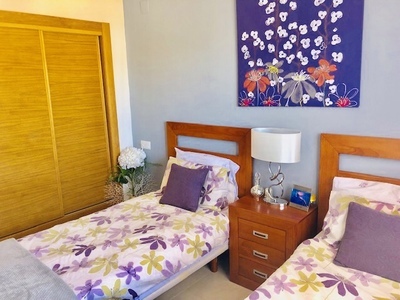 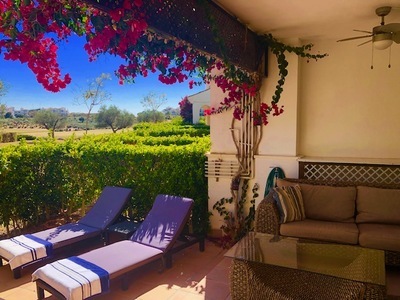 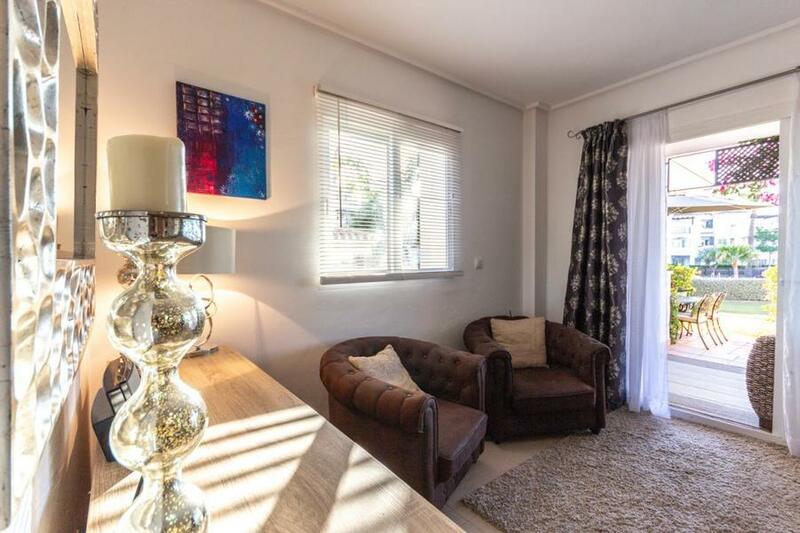 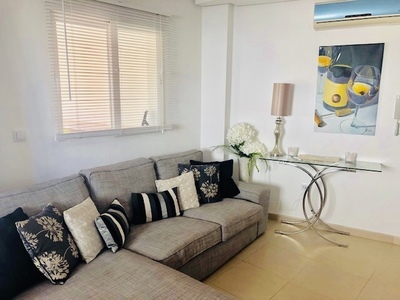 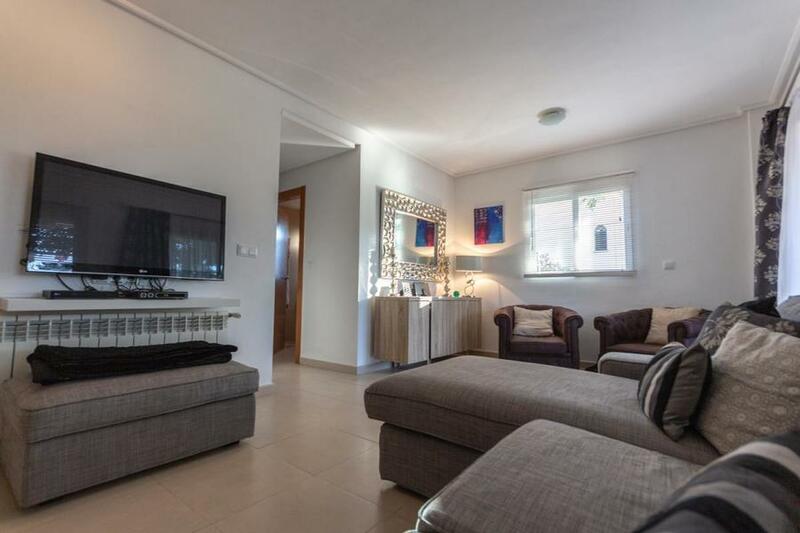 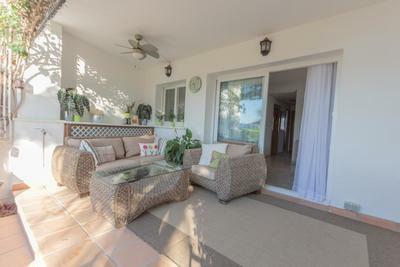 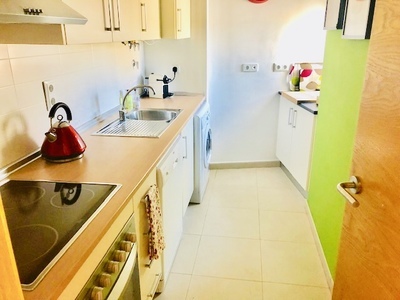 We now have available this fantastic ground floor apartment in Hacienda Riquelme. 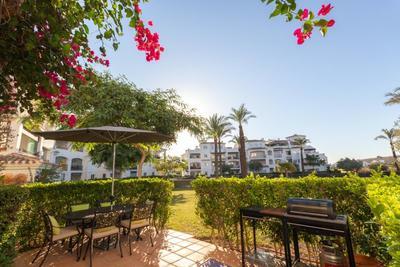 This particular apartment is finished to a very high standard, and sits in a great location on this gated resort. You enter into the large open plan main living and dining area, which has sliding doors leading out tothe terrace,and private garden. 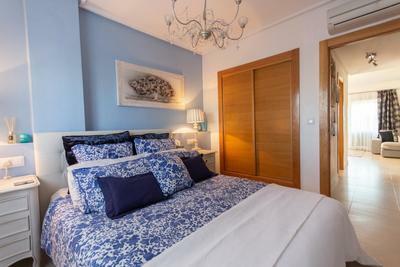 From here you have direct access to the large communal swimming pool. 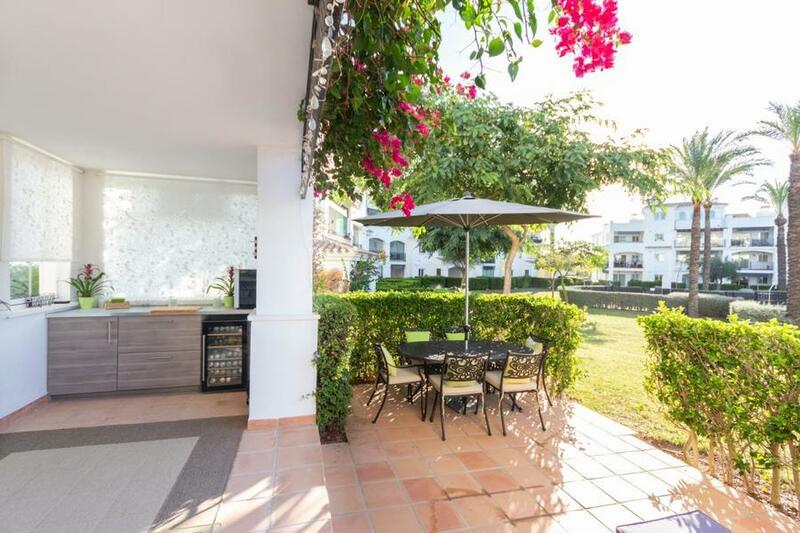 Back in the garden area the current owners have created an outdoor bar area, which is perfect for entertaining. 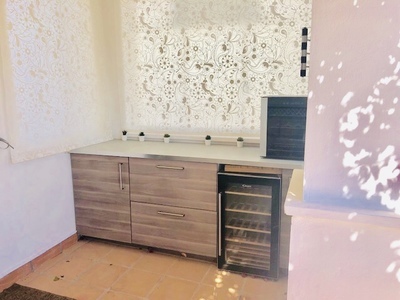 Back inside there is a well appointed kitchen with a selection of appliances. 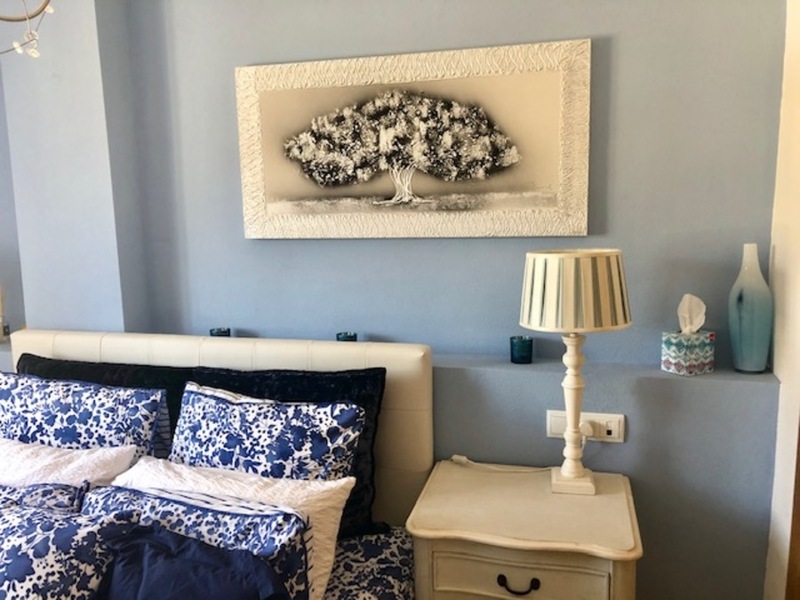 Down the hallway is a beautiful Master bedroom with fitted wardrobes, and a second double bedroom again with fitted wardrobes. 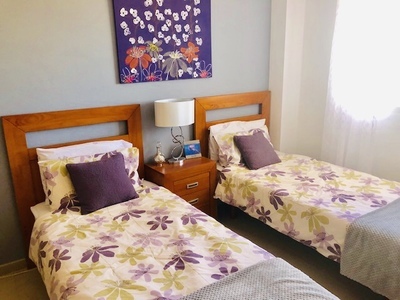 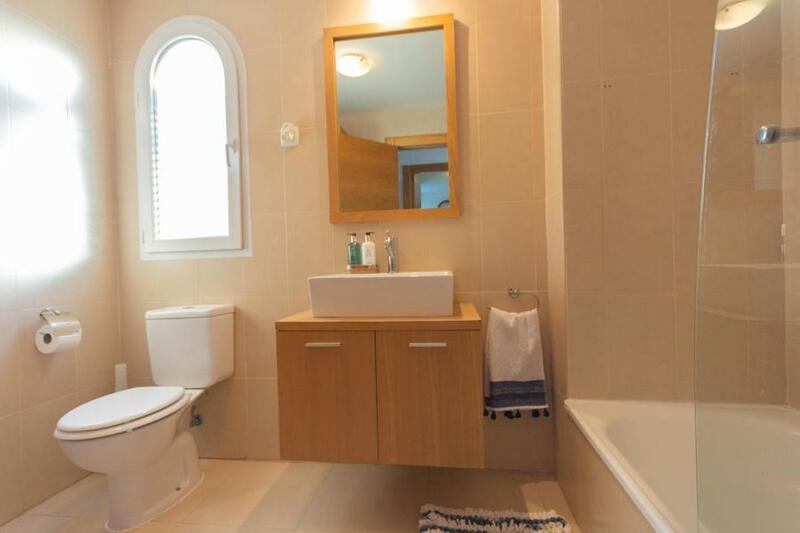 The property also has a modern house bathroom, and benefits from Air conditioning and an underground secure parking place. This really is an amazing apartment and must be seen to be appreciated.